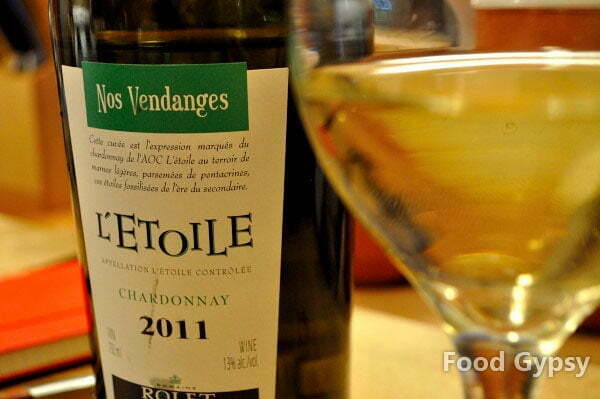 Clean and crisp, Domaine Rolet Père et Fils Étoile Chardonnay 2011 is humility in a bottle. Subtle tones, mellow colour and tone, it’s a killer seafood wine and a great winter white. Two whites in a row for me — I believe I may be ill. It’s the unseasonably warm weather, rather than big reds, clean whites really do fit the bill, and this white was a truly tasty find! 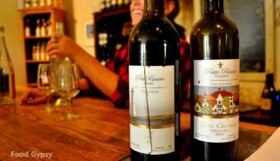 The French wine appellation of Jura, nestled snugly in the hills between Burgundy and Switzerland, is a cool growing region offering its own distinct wine profile. 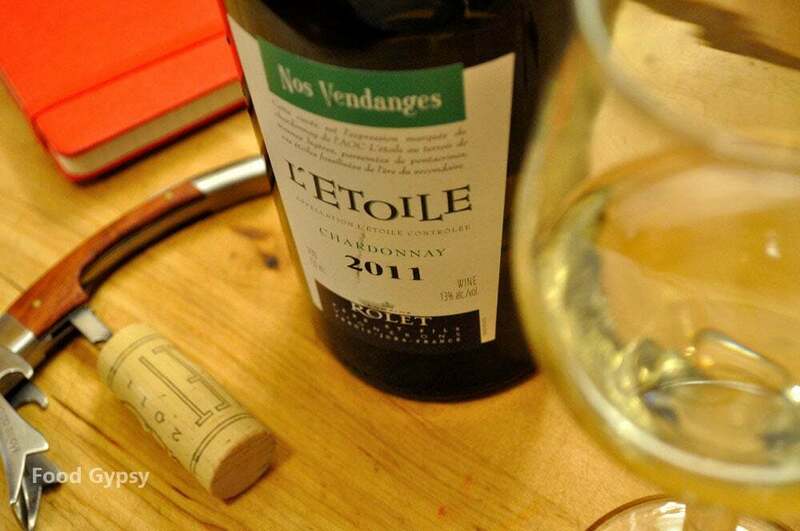 The local Savagnin grape does very well in the region’s short growing season as do Poulsard, Trousseau, and Chardonnay. Known largely for it’s vin jaune (yellow wine) made from Savagnin grapes aged for 6 years in a processes similar to sherry (without the fortification) and vin de paille (straw wine) with chardonnay grapes dried on straw to ripen. Both are unlike anything else in the world of wine and they really do hog the spotlight. As a consequence you rarely read about the more subtle of Jura wines like this easy-on-the-palate chardonnay. 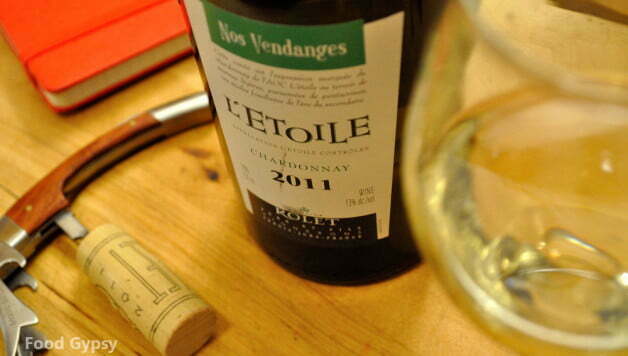 Domaine Rolet Père et Fils Étoile Chardonnay pours pale, golden with hints of pale green – like the grape itself. 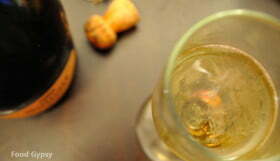 The nose offers a burst of minerality, with the undertone of dried apple and a whiff of pine. It’s medium body and round, full month pair particularly well with the brawny cheeses of the region like raclette or gruyere. Also perfect for a cream based dish featuring chicken or veal and an amazing pairing with seafood, as a main or as a hot appetizer. 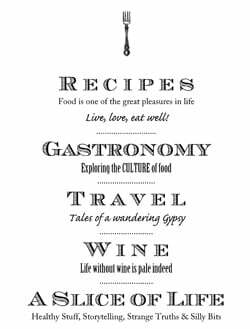 We suggest it with the Chicken Mushroom Cobbler with Gruyere Herb Biscuits featured last week; a highly complimentary wine for that flavour combination, with just the right acidity.  On this Gypsy Scorecard Domaine Rolet Père et Fils Étoile Chardonnay scores well at: 87/100. 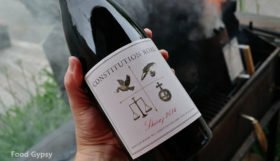 Priced around $25 (CAD) it’s a wine to watch this winter. The prefect “now-I-have-to-wrap-all-these-presents” wine, it makes ribbon curls a true delight.